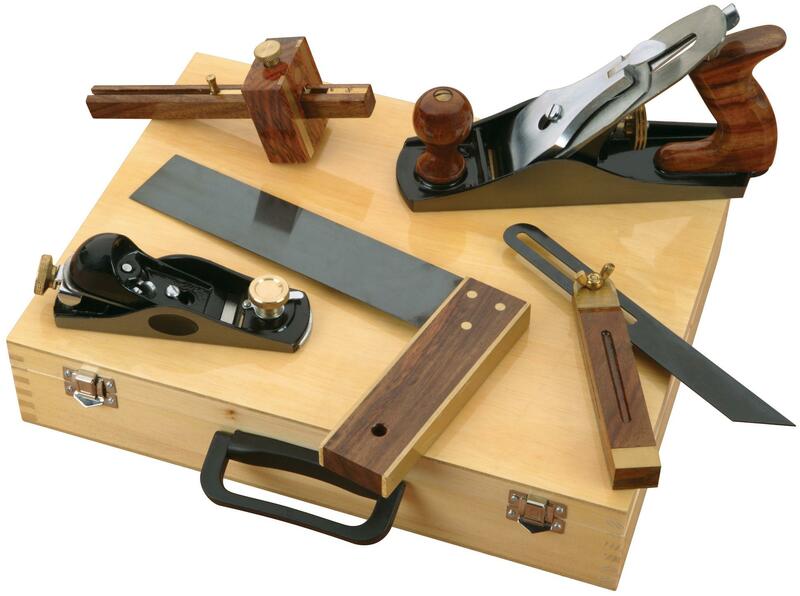 The D4063 Professional Woodworking Kit has been specially designed to provide many years of trouble free service. Close attention to detail, ruggedly built parts and a rigid quality control program assure safe and reliable operation. Whether you're just starting out or wish to upgrade your important hand tools, this 5-Pc. Professional Woodworking Kit with matching rosewood and brass accents has all the essentials for producing the very best work. 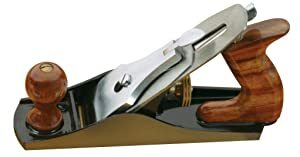 This fine set includes a 9" smoothing plane, 6-inch block plane, 9-inch try square, 9-inch marking gauge, 9-inch bevel gauge and a fitted wooden case. The smoothing plane included with this hit is a workhorse in the shop. Designed to smooth rough-sawn lumber, it is also the tool of choice for planing doors and windows as well as other planing chores around the shop. Hardwood handle and knob provide tremendous control. This plane is great for final finishing work, and has a perfectly flat sole that will smooth any wood surface. The included 9-inch try square is designed with a metal straightedge set at a right angle and is perfect for measuring and marking square work. 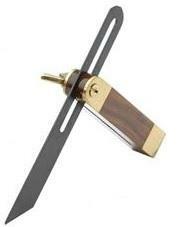 The beautiful rosewood handle with brass accents adds durability and style to the perfect tool for measuring right angles. This set includes a fitted wooden case used for transport and to keep your tools clean and organized when not in use. Whether you're just starting out or wish to upgrade your important hand tools, this 5-piece Professional Woodworking Kit with matching rosewood and brass accents has all the essentials for producing the very best work. 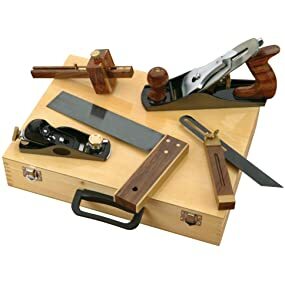 This fine set includes a 9 inch smoothing plane, 6 inch block plane, 9 inch try square, 9 inch marking gauge, 9 inch bevel gauge and a fitted wooden case.